With so many companies being owned and operated as family businesses, it stands to reason that personal financial security is often tied to financial success of the business. The problem is that many owners, focused on making their business successful, neglect the personal financial planning that is necessary to ensure a safe and comfortable future for their family. When asked about their post-retirement plans and financial legacy, many people are likely to shrug off the issue. “It will all be in my will,” is a common refrain. If only it were that simple! Having a will and making plans for your estate are essential for securing peace of mind about your future, and for ensuring that your wishes are understood and carried out. Do you really want a judge who does not even know you making decisions about the disposition of your assets – including your business interests – once you are gone? 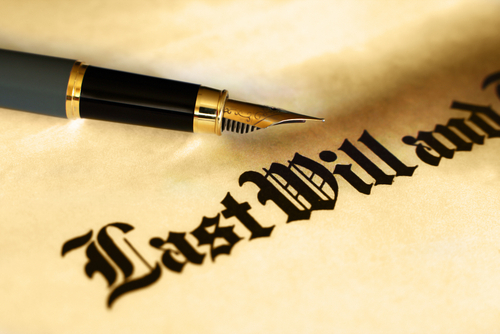 Without a will that is precisely what may happen. If you have prepared a will, good for you! But don’t think a will is a “one and done” proposition. The will you prepare today will need to undergo a number of revisions between now and the time it will actually be put to use. A static will that sits in a file gathering dust for years while your life changes in a thousand different ways could actually become a liability. Some of the life changes you may experience that require revisions to your will include changes in the amount or nature of your assets, marriage or divorce, the birth of additional children or grandchildren, the death of a beneficiary named in your will, your retirement (which often is accompanied by a change in your income flow), and revisions to tax laws that can affect your assets. A perfect example of the need to continually update your will is the current estate tax situation. The amount of assets protected by exemption from federal and state estate taxes has gone up and down over the past several years. Unless you adjust your will and estate plan to adapt to the changing estate tax laws, you may leave your heirs with a hefty tax bill. Work with your attorney to make sure your will and estate plan are kept up to date with your current status and the world around you. Your will should be reviewed on an annual basis, and adjustments made for any changes that have occurred during the past year. If a major change takes place in your life, don’t wait to update your will – get it done right away. Don’t trust the future of your family and your business to chance. Take steps now to create a legally binding will and estate plan, and make sure both are updated regularly to keep pace with changes in your life. This will help to ensure your lasting legacy will be one of fiscal responsibility and diligence. This entry was posted in Business, Planning. Bookmark the permalink.